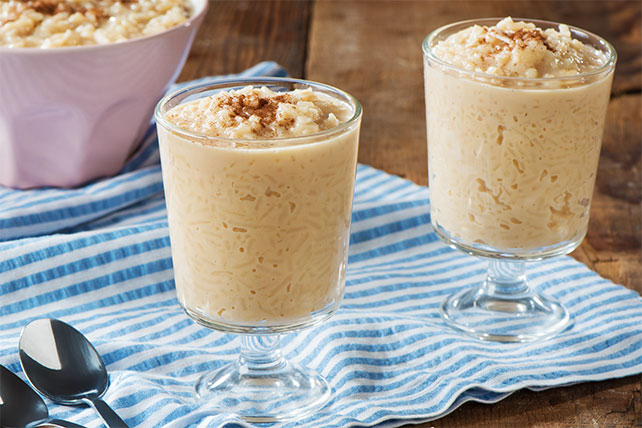 The secret to this delish rice pudding's intense caramel flavour? A package of KRAFT Caramels stirred into the warm pudding. You're welcome. Bring milk to boil in large saucepan. Reduce heat to medium-low. Gradually stir in rice. Add caramels, in small batches; cook and stir 5 to 7 min. or until caramels are completely melted and mixture is well blended before adding the next batch of caramels. After all caramels are added, cook pudding until thickened, stirring constantly. Remove from heat. Stir in coconut. Pour into serving bowl; cool completely.